It was a long 13-hour ride from Los Baños, Laguna, to the mountainous Kalinga province in the north of Luzon. Ordinary people would have easily been discouraged by the rugged and steep terrain going to Barangay Balbalasang in Balbalan town, but for the Department of Science and Technology-Forest Products Research and Development Institute (DOST-FPRDI) team, it was part of their commitment to make the institute's technologies accessible to far-flung communities. 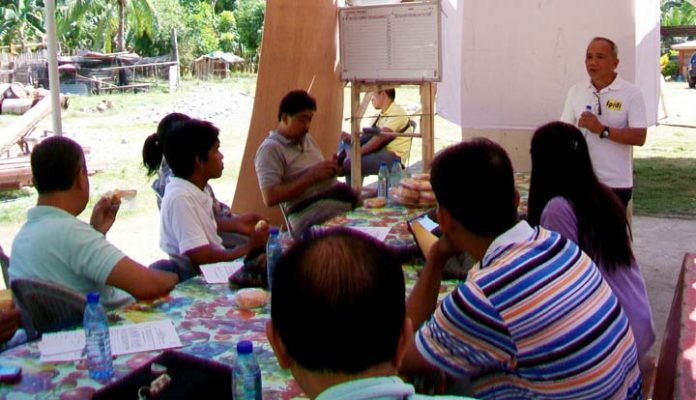 The four-day training on bamboo craft processing and basic finishing in February was joined in by farmers, students, housewives, local government workers and entrepreneurs. It was designed to improve the participants' skills in making crafts out of bamboo—a raw material they have yet to use. DOST-FPRDI experts Engr. Victor G. Revilleza, Eduardo M. Atienza and Fernando M. Pesigan explained the proper selection and preparation of raw materials and demonstrated actual production of the handicrafts. On the last day, the participants were taught how to apply colors and stains on finished items. "As extension workers, it is our duty to bring our technologies to the intended users no matter how remote their areas may be," noted Julian O. Roxas of the DOST-FPRDI's Training and Manpower Development Services Section. The institute had 64 training in 2017. Roxas has been doing field work and training for 33 years now. "Our work sometimes entails being away from our families for days or even weeks. There were times when we would get caught in the middle of a storm while on training, or would hike for hours, cross rivers or ride a boat just to give technical assistance. It is no simple task, but the warm welcome and gratefulness of the people we serve are more than enough motivation for us," he added. Turning 65 in October, Roxas said he will forever value the lessons from his more than three decades of extension work. "I am confident that, with the younger batch of community and extension workers, the DOST-FPRDI will be able to assist and reach more forest-based groups and small enterprises."